143 Allen Street House on Manhattan’s Lower East Side. Photo: CityLand. Ship’s captain built Federal style rowhouse as speculative investment during the Lower East Side’s early period of development. 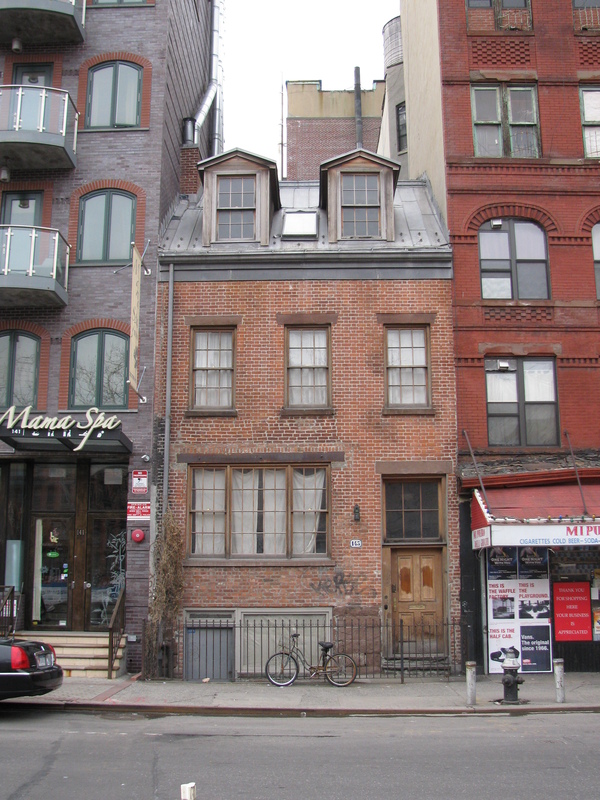 On February 9, 2010, Landmarks voted unanimously to designate the 143 Allen Street House as an individual City landmark. Built between 1830 and 1831 by merchant and ship captain George Sutton, the two-and-a-half story Flemish bondbrick rowhouse was part of a row of six similar buildings. The home was built during a period of rapid development in an area considered to be a rural outskirt. Today it is one of the few remaining Federal style rowhouses in the Lower East Side. 143 Allen Street originally served as a middle class, single-family residence, but was subdivided as the Lower East Side lost cachet and became home to waves of Irish, German, and Eastern European immigrants. The building remains as the lone survivor of the original development, after its remaining sibling was demolished in the 1980s. Landmarks Chair Robert B. Tierney opened the discussion by noting Landmarks staff’s effort to find and protect Federal style architecture in Lower Manhattan. Commissioner Roberta Brandes Gratz praised the owners for maintaining the building, which she called “an amazing survivor.” Commissioner Stephen Byrns called attention to the building’s brickwork and masonry and raised the idea of designating a “tenement district” in the Lower East Side. Commissioner Margery Perlmutter found it “amazing” that Landmarks was still uncovering unprotected Federal Period buildings. LPC: 143 Allen Street House, 143 Allen Street, Manhattan (LP-2350) (Feb. 9, 2010).